Q. 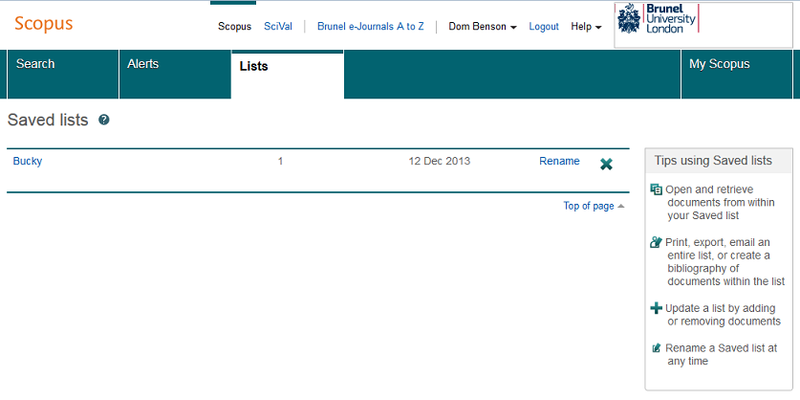 How do I use the personal account features on a database like Science Direct or Scopus? Elsevier permits you to register a personal account on Science Direct (which is a database of Elsevier's journal, books and series) and Scopus (an abstracting and indexing database which keeps track of lots of scholarly material). If you take the time to do so, you will be able to do things like save searches and set up email alerts. 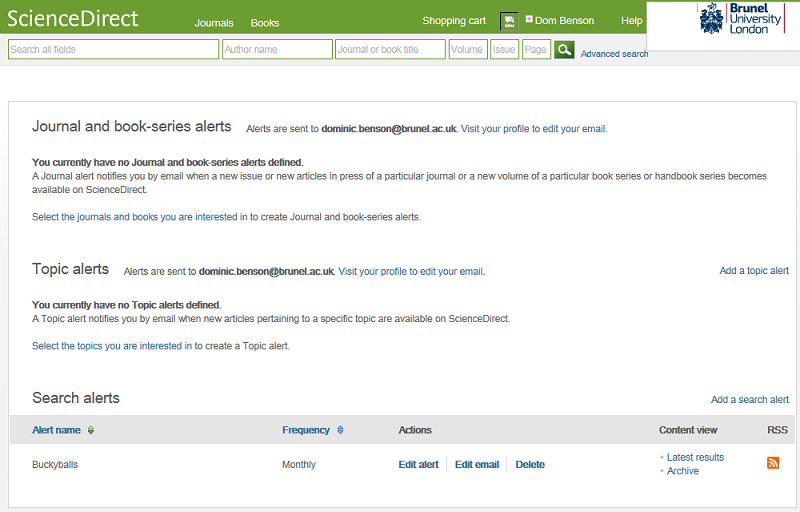 The personal account you register can be used on both of these Elsevier databases. Just use the registration link at the top of either database and activate your account. What is personalisation and how do I use databases which permit personal accounts?